A two book deal for Out of the Blue, and a second title, has been announced by Macmillan Children’s Books. The title will be published in the UK in spring 2018. 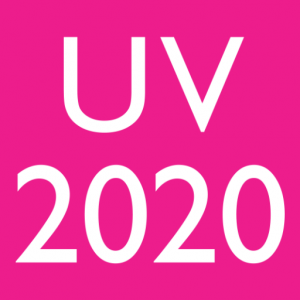 UV 2014 – Writers Bonus – The Panel discuss their recent acquisitions and why they loved them! Please note: this video relates to the 2014 Undiscovered Voices judging panel. As part of the Undiscovered Voices competition launch on April 18th 2013, we asked the fiction judging panel who were present about their most recent acquisitions. What followed revealed a lot about the role agents and editors in the acquisition process and how important it is for there to be a personal connection between the reader and the characters. It’s not just about being commercial and marketable, but about making the reader excited into enter into the world of the book. In comes as no surprise to anyone who has watched the previous videos that the role of voice ruled supreme. In this bonus video from our fiction judging panel, Ben Horslen and Samantha Smith talk about how characters can be used to impart information and getting around problematic exposition (as known as “Info Dump”). Please check out our other Undiscovered Voices videos. In our final clip from the Undiscovered Voices competition launch meeting on April 18th, we asked the fiction judging panel who were present for some words of advice and tips for writers. As Gemma Cooper starts off the discussion about how to get voice right by encouraging writers to listen to their work aloud (whether recording yourself reading it or getting someone else to read it). The panel then share their top tips for writers, from making sure you write the book you want to write, through to letting the readers use their imaginations. Here’s our second clip for writers from the Undiscovered Voices competition launch meeting on April 18th. We asked the fiction judging panel who were present what mistakes writers should avoid and what advice they had on writing in popular genre. The panel start by talking about the obvious mistakes to avoid such as starting off with a character waking up or putting “info dump” in the first chapter, but soon start talking about how to bring something new to a genre you love. 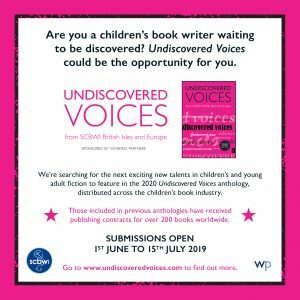 Our editors and agents also talk about how work for younger fiction is in great demand – especially in the Undiscovered Voices anthology! Here’s our first clip from the Undiscovered Voices competition launch meeting on April 18th. However, there’s lots of other things that contribute to make a manuscript standout – including confidence, convincing world building (even in contemporary books), getting the reader excited about the story and rewarding their commitment to reading it.